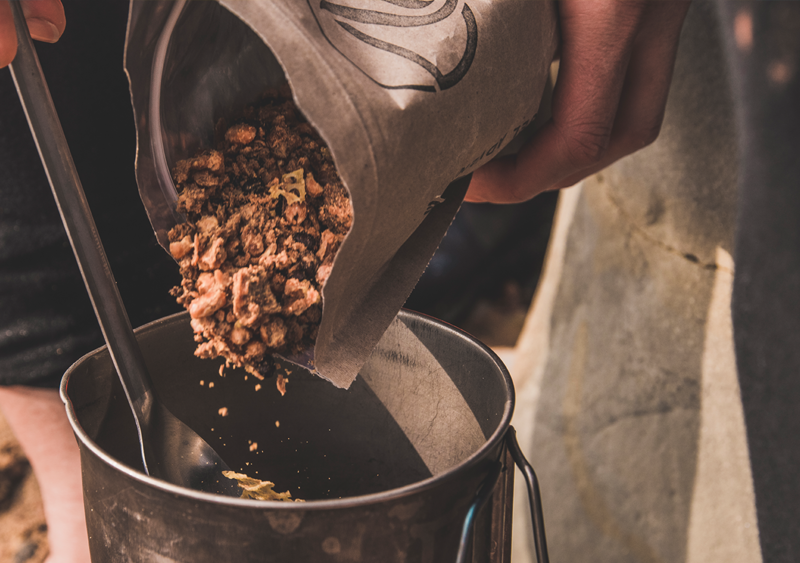 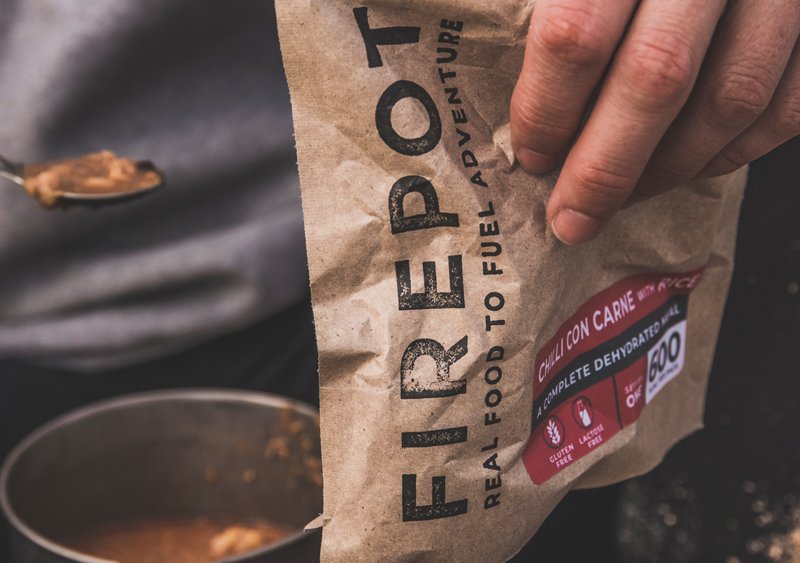 The idea that dehydrated food can taste great and have healthy local provenance really caught our eye and led John, the founder of Firepot, to win the much coveted 2017 Seed Fund. 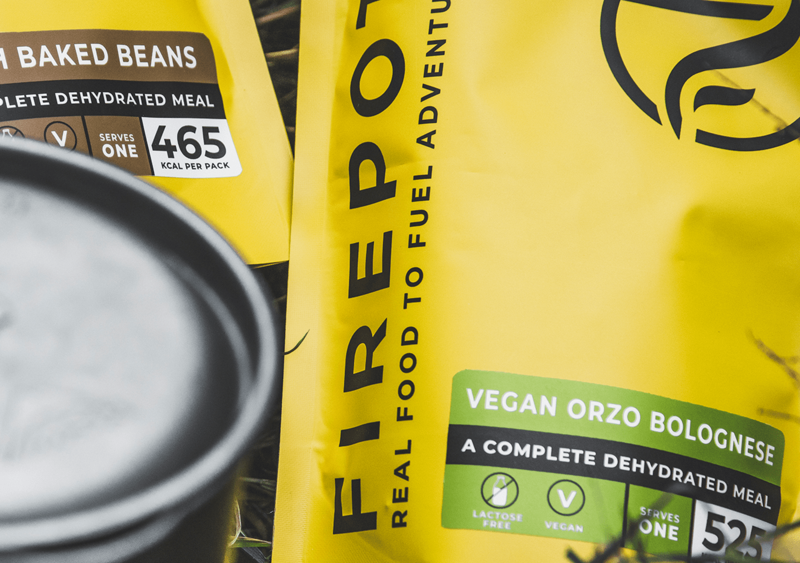 Our task was to help elevate his brand to become not merely food but an essential piece of kit in the minds of explorers and adventurers. 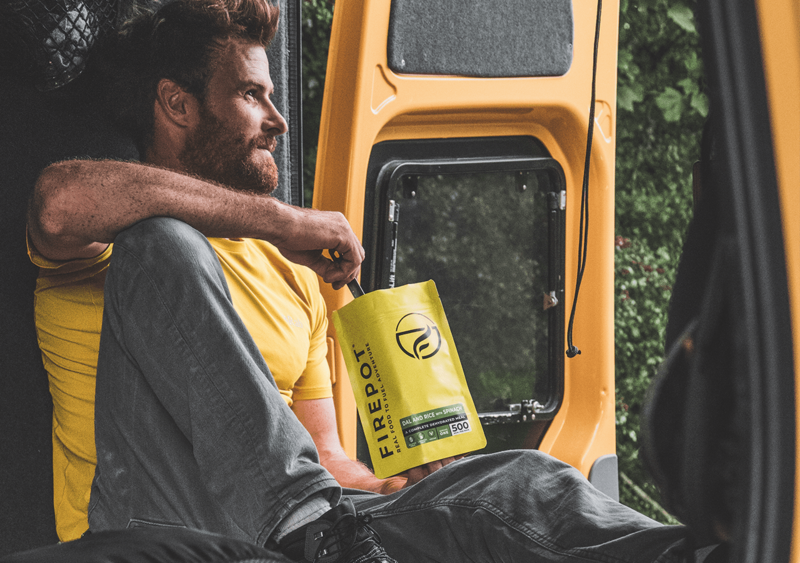 With John’s help, we set to work creating vibrant distinctive packaging that wouldn’t look out of place next to the world’s leading outdoor equipment brands. 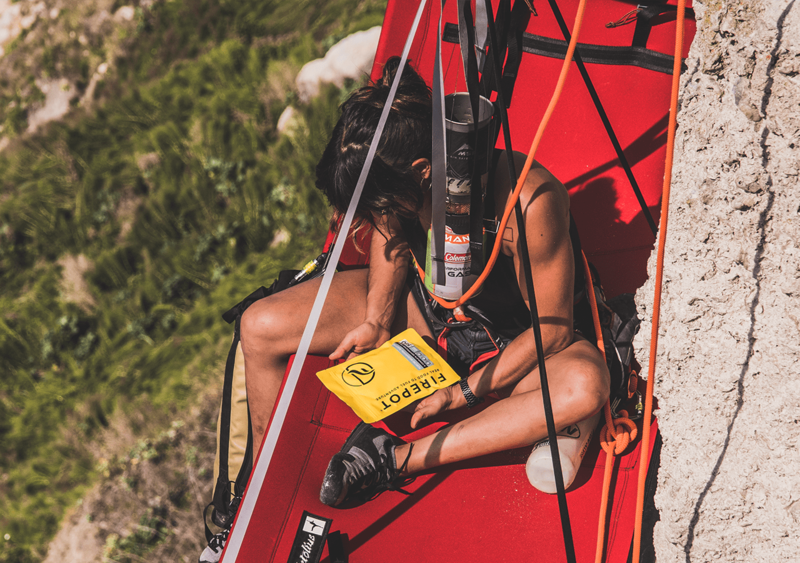 We opted for an ‘extreme’ yellow that was bright enough to spot at the bottom of any rucksack, whether in a blizzard or a boat. 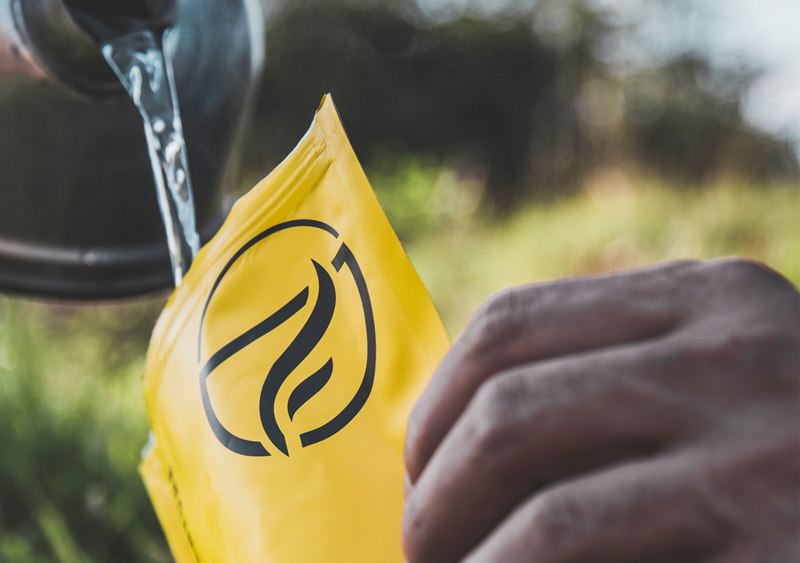 Made by just adding water, we also ensured the simplicity of the product was echoed in our minimalist style. With a striking brand name climbing up the side of the pack and our new logo prominent, the updated look added confidence and prestige. 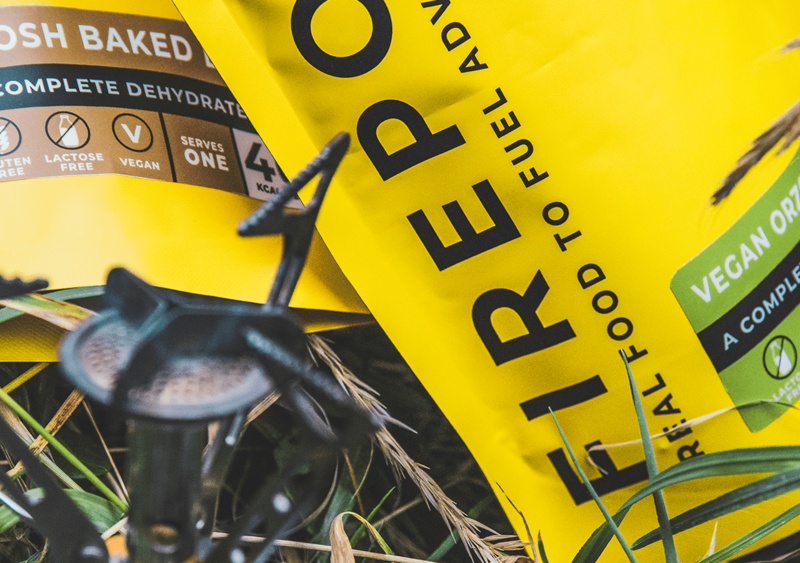 For an important touch of warmth, we applied more gentle colours to the food description labels, adding appetite appeal and comfort. 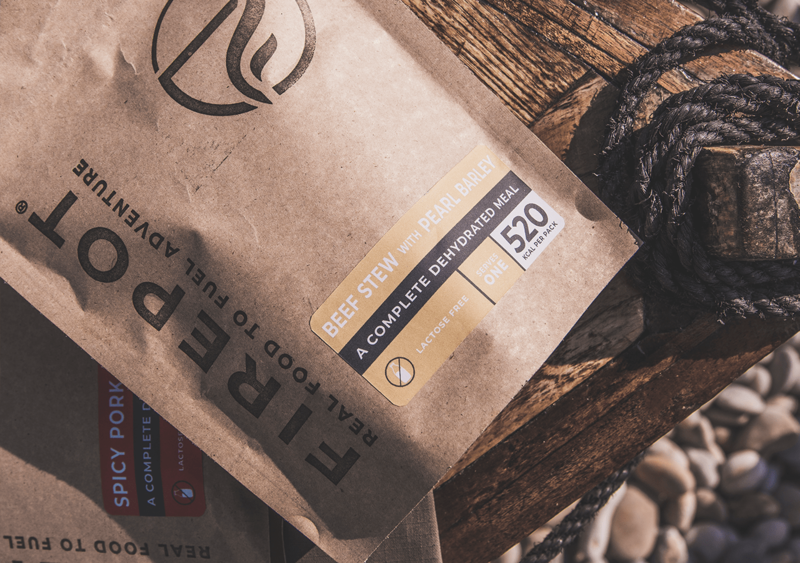 The whole design also transferred beautifully to the innovative brown biodegradable packs, made from bio-based sources and fully compostable. 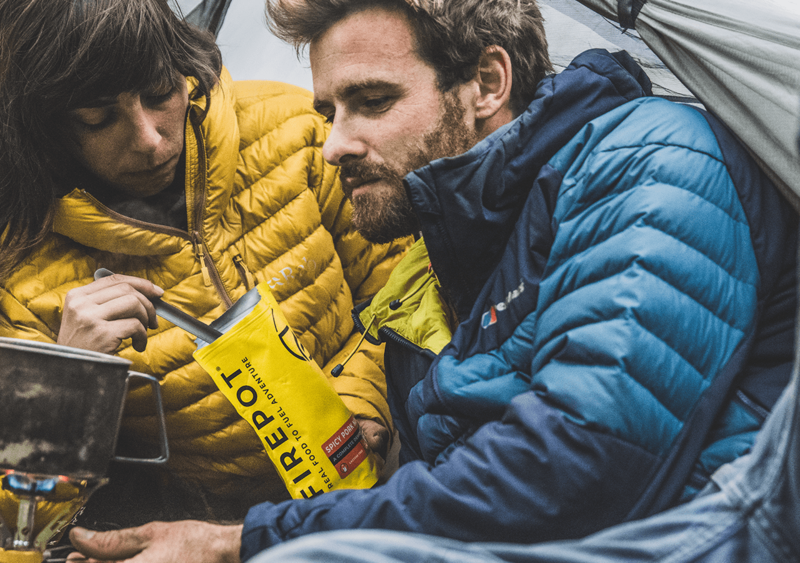 Since launch, Firepot has been a huge success amongst the expedition community, having already been taken up Everest, into the Gobi Desert, on the Marathon Des Sables and sold to customers in over 25 countries. 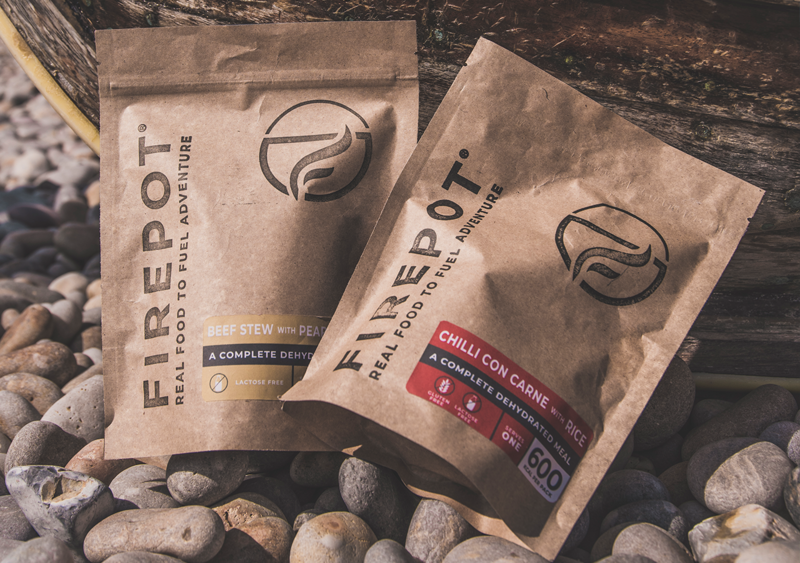 ‘The dynamic new design created by The Collaborators is exactly what we needed to take Firepot to the next level – iconic, fresh and adventurous, it reflects perfectly what Firepot stands for and wants to be.’ John Fisher, founder Firepot.